My experience at UMW has not been the best. While I aknowledge that the school is a fairly decent institution, and is a good match for a few particular sets of people, I can't say I was amongst them (as a note, I never really intended to go to UMW, but I got waitlisted at my first choice (UVa), and rejected elsewhere, so that probably influences my views well). Lack of an Honors program above what is offered in individual departments. 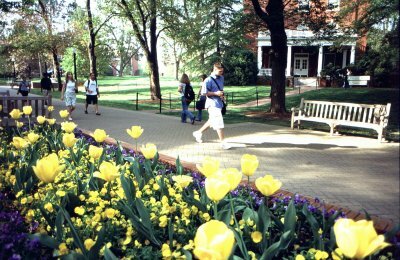 UMW is the only public college in Virginia that does not have one. One that would allow exceptional students greater freedom when dealing with the very restrictive General Education requirements here, a la the Echols program at UVa. Poor quality of Undergraduate research. While I'll be the first to admit that UMW's reputation is not built on being a research school, and that is perfectly understandable given it's commitment to the ideal Liberal Arts education, this does not excuse the fact that it's extremely difficult to get access to undergraduate research, especially independent research projects, which are almost non-existent. The bureaucracy is a nightmare. While the school prides itself on getting a hands-on, open approach to teaching, I've found many of the courses, those in the sciences particuarly, are taught in the normal collegiate style- huge lectures with little or no student-professor interaction. While my Chem lecture class is only 20 people, for example, it might as well be 100 for the way it's taught. I'd imagine that this is not true for all courses offered here, though. Finally, a lot of people complain about the lack of social life or extracurriculars here. While this is probably true, I didn't find life that difficult, so I guess it's a matter of personal taste. I do recommend this school if you really don't know what you want to do with your life and want a general all-around education, or if you're interested in History, Historic Preservation, or Archeology (all these departments are excellent here). However, if you've got a clear plan of what you want to do with your education, are particuarly academically ambitious, or are very keen on doing research, I'd recommend passing on UMW.